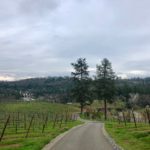 Last summer, I was invited to help with a full-day workshop at the University of California’s Hopland Research and Extension Center (HREC). 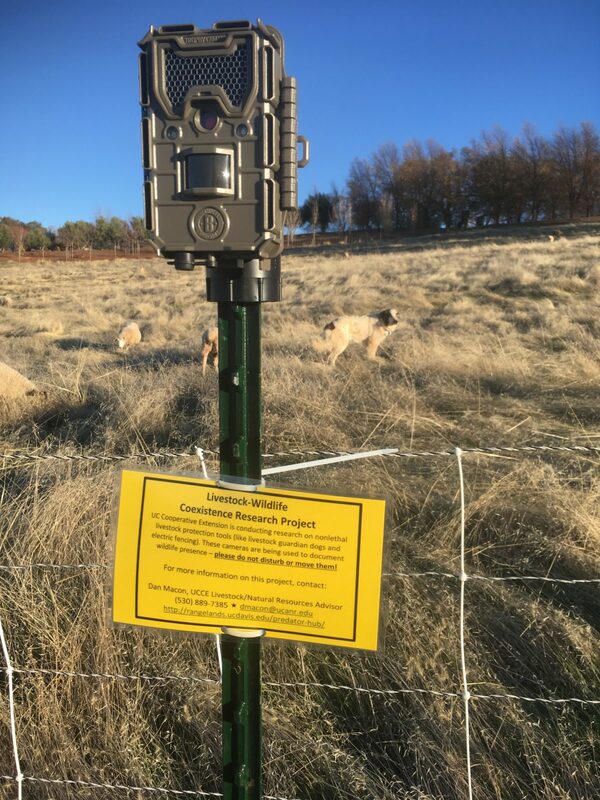 The facility is UC’s sheep research facility, and the workshop was focused on bringing ranchers and wildlife advocates together around the topic of coexistence. My task was to demonstrate electro-net fencing and livestock guardian dogs. As I prepared for the workshop, I realized that the fencing demonstration would be easy. Demonstrating livestock guardian dogs, on the other hand, would be difficult (if not impossible). Whenever I’ve tried to show visitors what our dogs do, it’s generally midday. The dogs, if they’re not sound asleep, will typically sniff the strangers, give a half-hearted bark, and go back to lay with the sheep – not a terribly dynamic demonstration of protective behavior! On the long drive home from HREC, I began to think about a way to demonstrate guard dog behavior towards predators without having to be with the sheep 24 hours a day, 7 days a week. The next day, I spoke with Dr. Derrick Bailey from New Mexico State University, who has done extensive work monitoring cattle grazing behavior via global positioning system (GPS) technology. I also spoke with Dr. Roger Baldwin, the wildlife extension specialist at UC Davis. With their guidance, I devised a plan to use GPS collars (on dogs and sheep) and trail cameras to monitor predator presence and guard dog / sheep response. In late September, I built a prototype collar and put it on Bodie, our Anatolian x Maremma 2-year-old dog. I also put up 2 trail cameras borrowed from Dr. Baldwin. 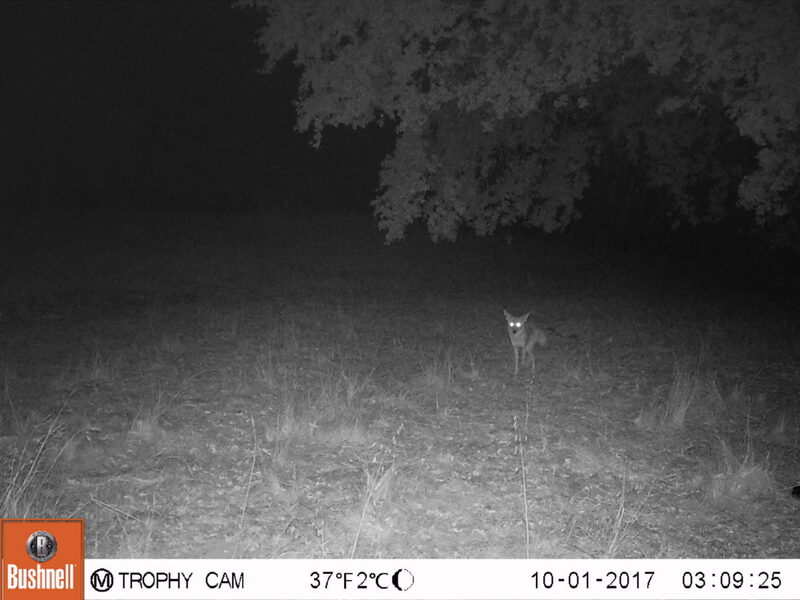 At 3:09 a.m. on October 1, one of the cameras snapped several photos of a coyote approaching the sheep paddock. Prior to the coyote’s approach, Bodie’s GPS transponder indicated that he was laying where we’d observed the sheep bedding down. As the coyote came closer, Bodie left the bed grounds and went to the other end of the paddock. The GPS sensor doesn’t tell me what Bodie was doing, but he definitely kept himself between the bed grounds and the predator! Last week, I embarked on a more thorough trial run. I placed 8 trail cameras around the perimeter of our electro-net paddock. I also placed GPS collars on Bodie and 6 sheep. 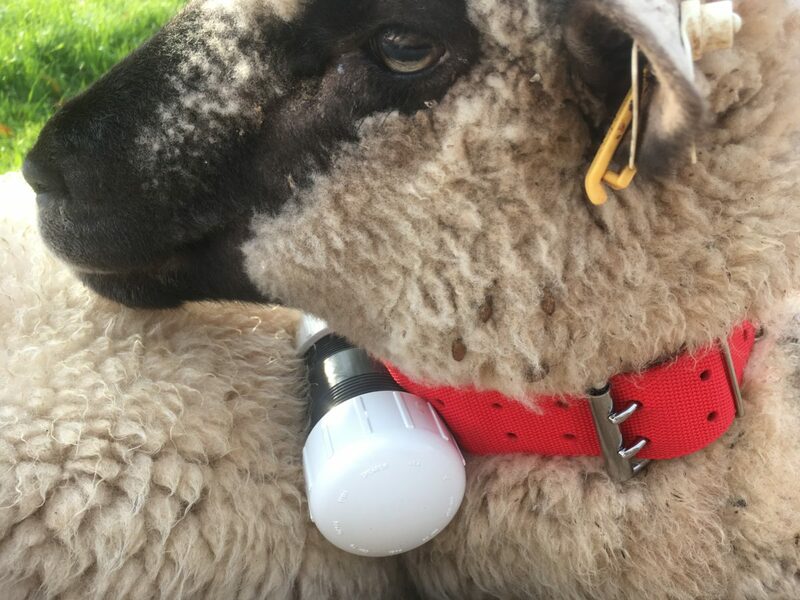 The cameras should detect the approach of wildlife (including predators); the GPS collars should detect Bodie’s response, as well as that of the sheep. We’ll check the cameras and the GPS units after 2 weeks of data collection. 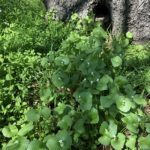 We know there are coyotes, mountain lions and wild pigs in the vicinity; I’m excited about what we might find! Researching the efficacy of nonlethal livestock protection tools (like livestock guardian dogs and electric fence, for example) is difficult. Research of this kind requires a question and a control. 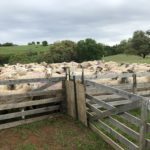 If the question is, “how effective are livestock guardian dogs?” the control must be, “how many sheep might be killed without a dog present?” Like all producers, I’m not willing to leave any sheep unprotected just to see if the dogs are doing their job! I’m hoping this project will help me (and other ranchers) understand how dogs work (rather than if they work). Stay tuned! Note: I’m funding this pilot project with funds provided from University of California Agriculture and Natural Resources. I’m hoping to find funding to support a larger scale project working with multiple sheep, cattle and goat producers in California.